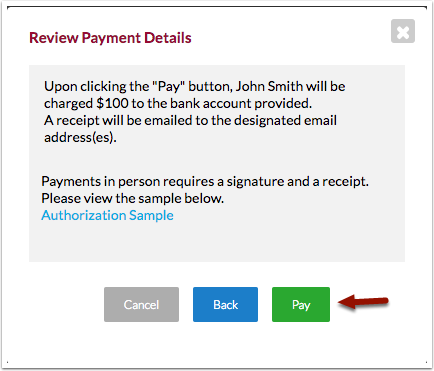 Rocket Matter Knowledge Base Invoices: Bulk Payments and Adjustments -NEW!How to apply payments to invoices in bulk with e-check. 5. 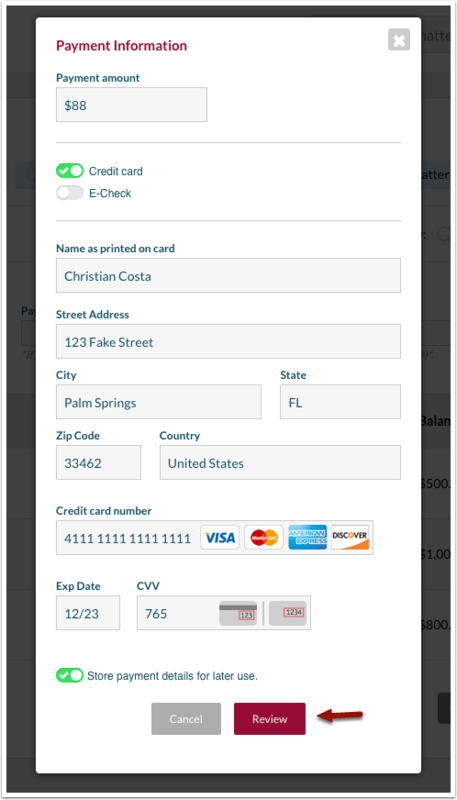 Once your payment has been allocated to your invoice(s) correctly, select 'Save Credit Card/E-check Payment' on bottom right of the screen to record the payment. 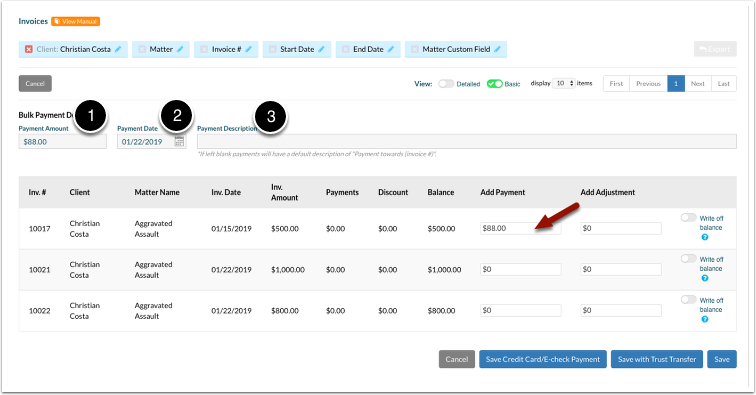 Prev: How to apply payments to invoices in bulk with a credit card. 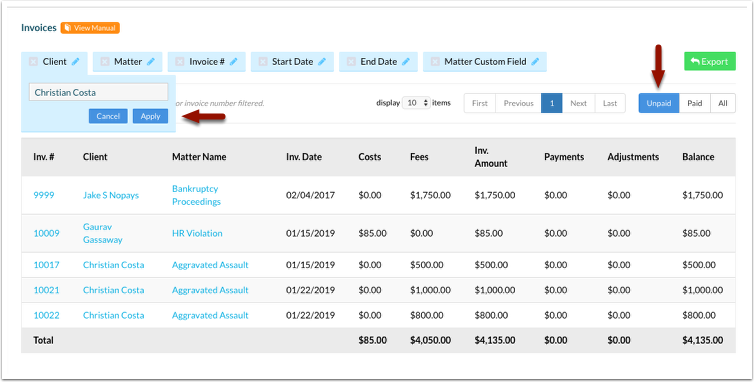 Next: How to see all unpaid and paid invoices.